Whisky-making can be a wasteful business and a distillery is now turning the beverage into biofuel for cars. 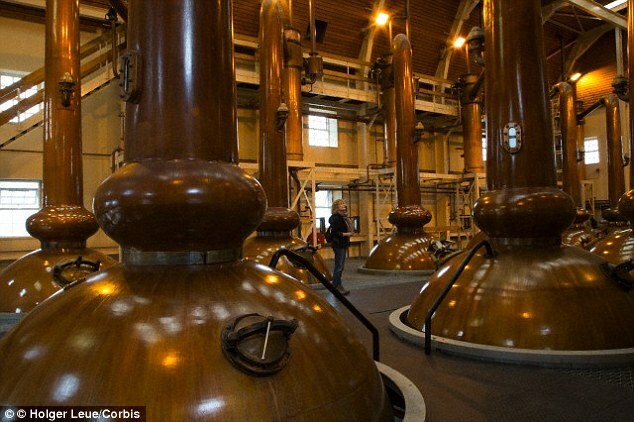 Whisky is made of water, yeast and grain, but 90% turns into waste, called draff and pot ale. Now Celtic Renewable, a company from Edinburgh, is turning these leftovers into acetone and biobutanol, that are considered to be more efficient to other biofuel products and that can also blend well with petrol and diesel. “More than 1.6 billion liters of pot ale, and half a million metric tonnes of ‘draff’ are produced as by-products each year – and the majority is thrown away”, says the Dailymail. The company spent 3 years researching how the waste can be turned into something more positive – now, the waste is spread on agricultural lands, turned into animal feed or discarded into the sea. The company wants the waste to be used as fuel, as they are “scaling up its process with the help of the U.K. Department of Energy and Climate Change, private funds, and Bio Base Europe”. Celtic Renewable says that the fuel they are producing from waste “is easier to store, is less corrosive, and safer to handle than bioethanol, and works in unmodified engines with petrol. It can also be blended with diesel and biodiesel”. The process that the company uses also produces acetone, a widely-used solvent. And half of world’s acetone is used to make acrylic plastics. So why not using all the waste as a bio fuel? I think that planet earth will thank the company. So now… the cars can drink, but NOT their drivers!